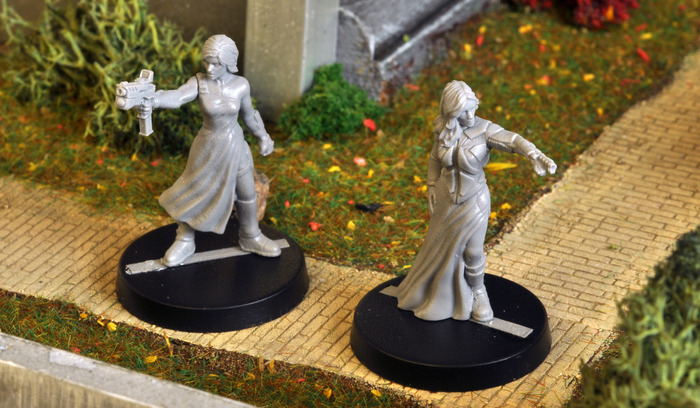 Anvil Industry has some previews up showing resin prototypes for Afterlife over on their Kickstarter page. Hi everyone, we got our first batch of 3D prints in yesterday, so have some resin prototypes to show you! They still need some clean up and work before we make production moulds, but hopefully you can get an idea of the size and quality. 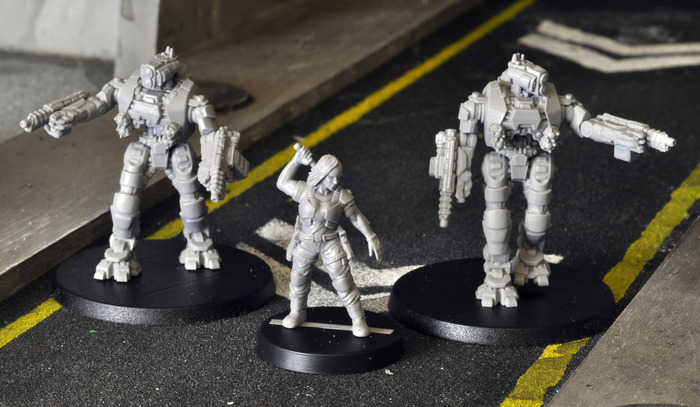 Anvil Industry has a pre-order set up for their new Afterlife sci-fi miniatures game (and the minis, too). Be the first gamer on your block with these rules and figures when they're made available. After the successful Kickstarter campaign, the Afterlife line of miniatures from Anvil Industries is up for pre-order in their online store. Orders placed in the shop will begin shipping March 7th. 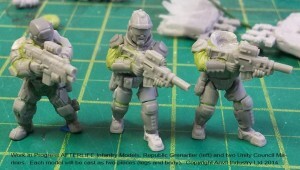 Anvil Industry has a photo up showing off the WIP version of their Afterlife Assault Team. 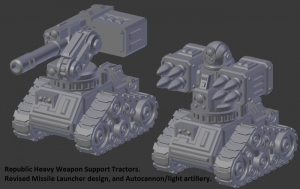 Anvil Industry is showing off some updated 3D renders for the Weapons Tractors for their Afterlife Kickstarter campaign. Just a small update tonight. 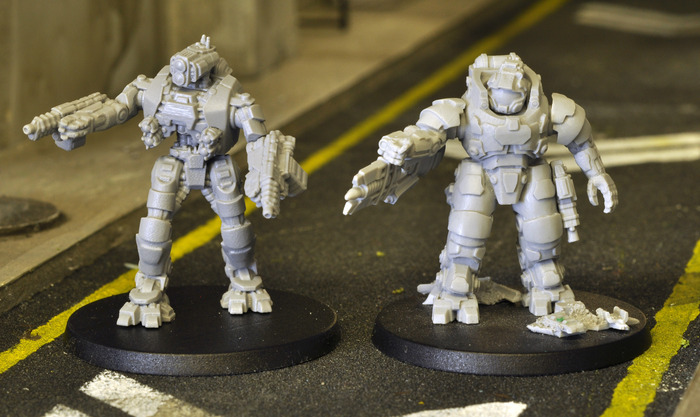 Tomorrow I will be posting a video with prototype resin models. Here is a new design of the missile launcher based on feedback. Symmetrical with two missile pods and a central targeting computer/array. 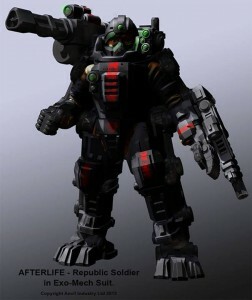 Anvil Industry gives us a look at the concept art for their first mini they're working on for Afterlife with a preview of the Republic Exo-Mechanised Infantryman. Here is a Republic Exo-Mechanised Infantryman, our first planned miniature for AFTERLIFE. I will be designing a number of different arm and shoulder mount weapon options and possibly a fully enclosed Torso option, what would you like to see?